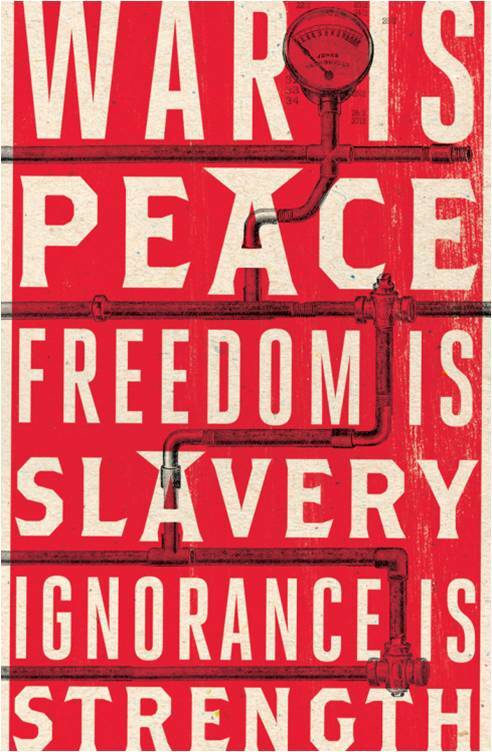 This novel by George Orwell is one of my favorite books of all time. I first read it in my English course, fell in love with it and read it for the 3rd time just recently. I felt it was now appropriate to tell you guys about it since I basically know it inside out. It is a dystopian themed novel about an extremely strict and authoritarian system of living. The characters, in short, are living in hell but also in their state called Oceania. They have no say whatsoever. If they say something, actually scratch that –if they think something it is easily considered a crime, more specifically, thought crime. In the real world, humans have the freedom of thought and opinion which is exactly what the characters in the novel lack. They are entirely under the influence of the very powerful figure of ‘Big Brother’.All of society functions under big brother’s commands. If one disobeys any orders, it results in death or disappearance in which the clearest reason of disappearance is death, but no one knows for sure. The way big brother indirectly threatens the citizens of Oceania ensures that they follow all his commands and never even think about going against him. However the protagonist, Winston Smith, challenges the whole notion of big brother as he finds himself trying to uncover the truth behind big brother and history in general. He knows that people only believe what big brother wants them to believe, and what big brother wants them to believe he will make believable. He twists and messes with the truth to put it all in his favor. By making the party members do his dirty work and muddle with documents and historical records, he ensures his continuity in controlling society. Winston starts to secretly rebel against authority and find himself a better life to live. He fails to understand that with a forceful figure like big brother, it is not possible to do what he wants to do. The underlying message of this story and concept can be perceived in many ways. Personally I see this novel as a contrasting reality to ours today. It makes me feel so grateful to be a part of a world where freedom is increasing and captivity is diminishing. The protagonist Winston Smith is the common man whom we all can relate with in different ways. His curiosity, struggle for survival and overall journey can relate to each and everyone’s lives in various ways for various means. The way he struggles to find the truth is something we all experience in our lives as the world doesn’t hand us truth on a silver platter, we have to fight for it. It can be truth to prove ourselves right, a loved one right or just the truth to serve overall justice in a time of prejudice. The journey is well presented throughout this novel, and although it doesn’t end in the best of ways, life sometimes doesn’t either. It is the harsh reality. Everyone should consider giving this one a read. Cheers. This entry was posted in blogger, books, freedom, novel, reading and tagged blogger, books, freedom, life, novel, reading, review on March 16, 2015 by Neemra.